IN THIS SCENE, A CULINARY PRODIGY DETAILS HIS GENUIS HUMMUS RECIPE. Regis Community Theatre begins this year, putting on three shows annually. Regis Catholic Schools is launching a new organization, the Regis Community Theatre, this year. 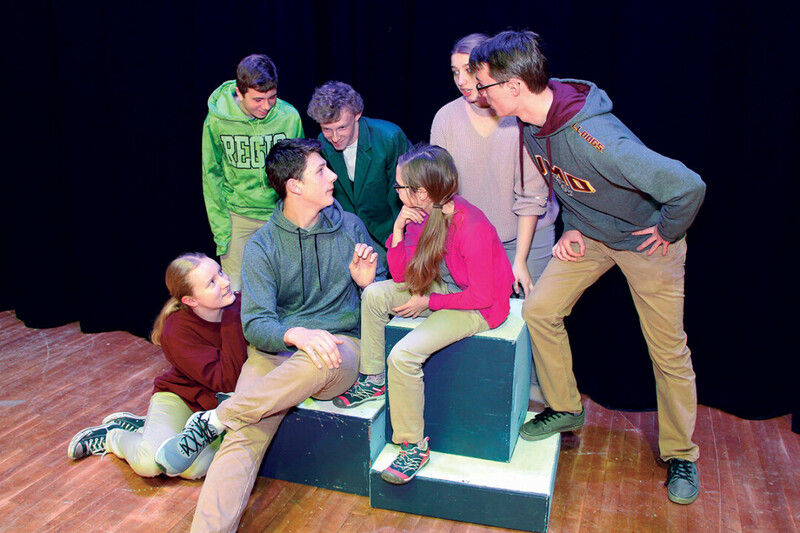 The theater will put on three shows with religious themes annually at the auditorium at Regis High School, using the talent and assistance of Regis families, faculty, staff, alumni, and members of the Eau Claire community. The first show, The Miracle Worker by William Gibson, will hit the stage this summer. The idea for the Regis Community Theatre originated with Regis High teacher Judine Brey last summer. She pitched the idea to administrators, and it was well-received. “Eau Claire has a strong performing arts population and as that population continues to grow, I believe her vision will allow for Regis to contribute to it,” Regis High School and Middle School Principal Paul Pedersen said. While theater productions are prevalent in the Chippewa Valley, the Regis Community Theatre is unique in its intent to offer faith-based performances. “While the Chippewa Valley has developed into a fine cultural center, we at Regis Catholic Schools feel that we can fill a niche of presenting family-centered, faith-filled plays and performances,” Regis Catholic Schools President Mark Gobler said. Themes will also include community, and the Regis Community Theatre will put on shows that feature a wide range of performers. Auditions for this performance will be at 7pm June 25-26 at the Fr. Dowd Auditorium at Regis High School. Performances will be at 7pm Aug. 10-11 and 2pm Aug. 12, also at the auditorium. Tickets will be $10 each. The following two shows will be The Best Christmas Pageant Ever and a Lent/Easter-themed show. Brey said she is in need of all kinds of talent to put on these shows, including set construction, technical work, and on-stage performance. For more information, including how you can get involved with the Regis Community Theatre, contact Judine Brey at jbrey@regiscatholicschools.com.